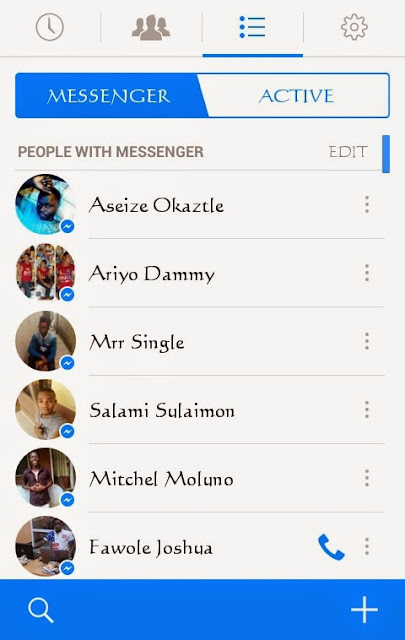 Facebook is the best social network so far and it has also created a Messenger Application for Smartphones users, in case you are not a Facebook user REGISTER NOW because you are really missing. Facebook Messenger is the official way you can just reach the people in your life. In essence, we have no choice but to use Facebook Messenger, unless you are not after chatting on Facebook. If you are lingering on whether to download the Messenger or to keep using the official Facebook app or web client; it’s time to head to the app stores and download the latest version of Facebook Messenger, install it and start enjoying this amazing instant messenger. In order to use this messenger, you don’t need to be tech savvy to some extent. If you have been using Facebook, you’ll notice that the Facebook Messenger interface looks exactly as the chat window of the web client. From here, you can see who is online and who is offline; you can then chat with each other as well as make calls to each other. purposes. This means that it is possible to keep in touch with your friends who are not using Facebook using their phone numbers directly from Facebook Messenger. 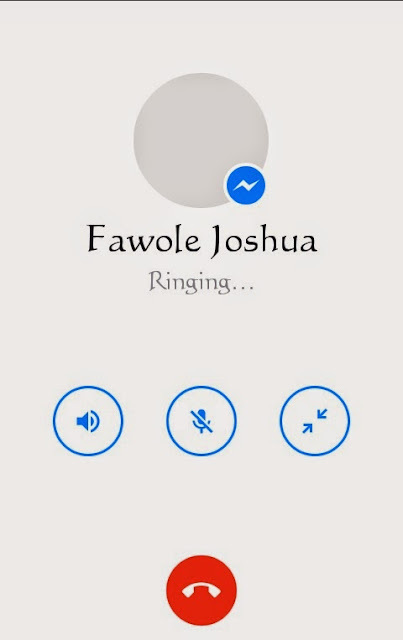 As noted above, Facebook also includes the free calling feature, where users can make calls. Furthermore, Facebook Messenger users can send short voice clips to the other users of the app, just like with the case of WhatsApp. It’s simple; just tap on the microphone icon and your record button will come up. Go on and make a voice and as soon as you are done, the message will be sent to the intended recipient. And to make voice call just tap the Call Button very close to a contact name and your call would be connected if only your receiver is online and uses messenger app as well. 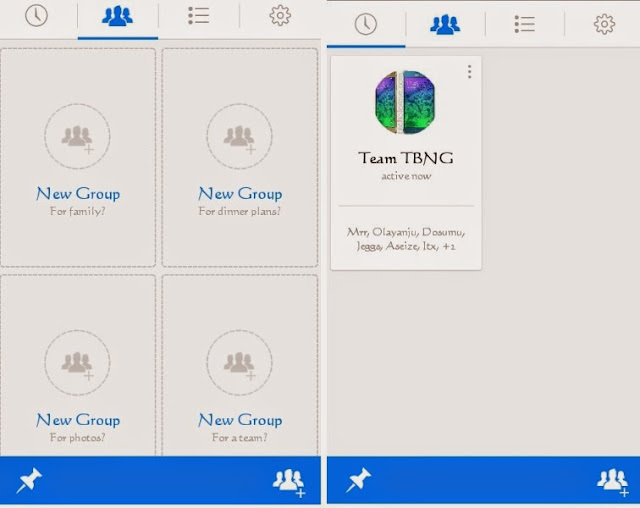 The application allows you to create groups and chats with lots of people at once, as you can see I have a group Team TBNG where I talk mostly about my blog posts with my friends. Since you have lots of people to chat to there is no need to always have to launch the app first before accessing this crew as with Facebook Messenger, you can pin a shortcut to a group chat on your home screen. To do this, go to “Groups” tab and select any of your existing groups or if there is none, you can as well create one. Go on and tap on the menu button located at the upper right-hand side of the Group tile and then follow it by selecting “Create shortcut.” Wasn’t that simple? Facebook Messenger offers users with the ability to take photos directly from the app’s keyboard. Simply tap on the small camera icon and your keyboard space will immediately turn into an expandable mini view-finder. It is possible for users to switch between rear and front-facing cameras and easily take a quick picture with the vertical send button placed oddly at the middle of the view-finder. You can also take a quick view at pictures taken on previous occasions by tapping on the small image icon that is located next to the camera. Wow I love this feature of the Messenger application as it helps me to keep on chatting on Facebook messenger while using other applications. As you can see from the image am on the App drawer and still replying to messages without leaving that spot. There are times when something extremely delights you when on chat and you feel like you really need to give it a massive thumbs-up. It is possible with Facebook Messenger to inflate the size of your finger and give you friend the impression of how massive his or her message is. 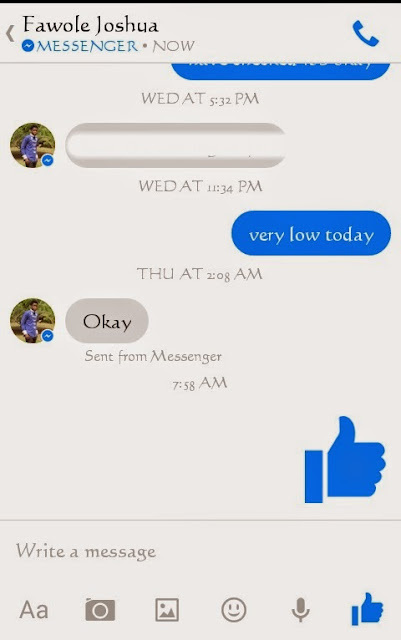 You can enlarge the size of the ‘Like’ thumb in Facebook Messenger by tapping and holding on the ‘Like’ button. You can also tap on the emoji button located just at the end of the entry field or check out your sticker collection for a more expressive feel. 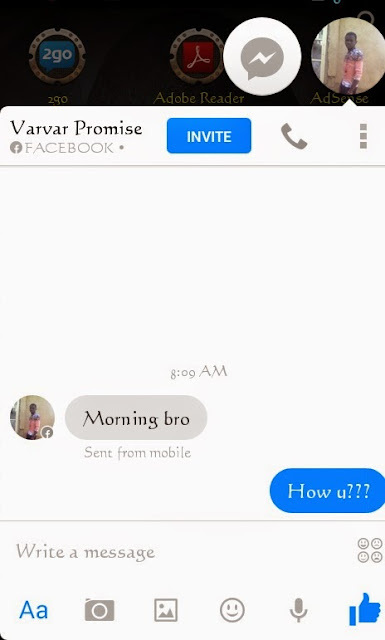 facebook messenger is great place to fun and talk with facebook friends. if we are using smartphone than app will be great for us. thanks for sharing details with us. You welcome Ethan, Facebook Messenger is really a great app in different ways. More features still coming soon from facebook.